Our beliefs constitute a large part of our knowledge of the world. We have beliefs about objects, about culture, about the past, and about the future. We have beliefs about other people, and we believe that they have beliefs as well. We use beliefs to predict, to explain, to create, to console, to entertain. Some of our beliefs we call theories, and we are extraordinarily creative at constructing them. Theories of quantum mechanics, evolution, and relativity are examples. But so are theories about astrology, alien abduction, guardian angels, and reincarnation. All are products (with varying degrees of credibility) of fertile minds trying to find explanations for observed phenomena. 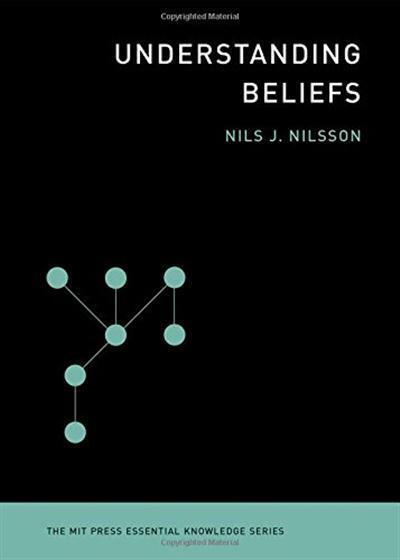 In this book, Nils Nilsson examines beliefs: what they do for us, how we come to hold them, and how to evaluate them. We should evaluate our beliefs carefully, Nilsson points out, because they influence so many of our actions and decisions. Some of our beliefs are more strongly held than others, but all should be considered tentative and changeable. Nilsson shows that beliefs can be quantified by probability, and he describes networks of beliefs in which the probabilities of some beliefs affect the probabilities of others. He argues that we can evaluate our beliefs by adapting some of the practices of the scientific method and by consulting expert opinion. And he warns us about "belief traps" - holding onto beliefs that wouldn't survive critical evaluation. The best way to escape belief traps, he writes, is to expose our beliefs to the reasoned criticism of others.